Join in on the fun, support a great cause with a $2 donation to Easter Seals. Then, collect treats, while quantities last, from participating Tecumseh Mall tenants/retailers. 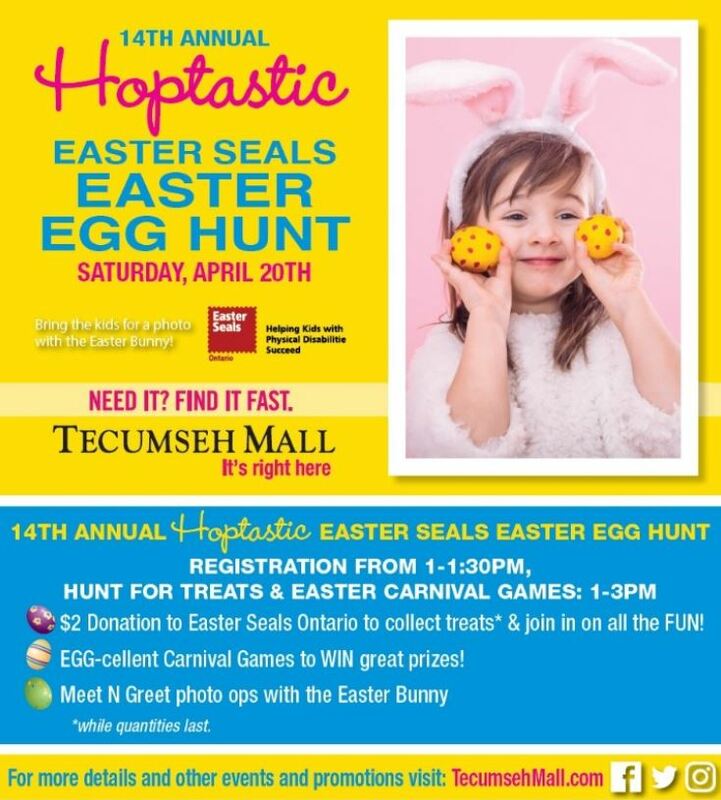 While you’re at it, play some Easter-themed carnival games and WIN great prizes! Event is from 1PM to 3PM. Registration is from 1PM to 1:30PM. REGISTRATION LOCATION: Will take place in the space across from Wow Mobile Boutique. Come for a family photo! *Photos taken with your own camera!